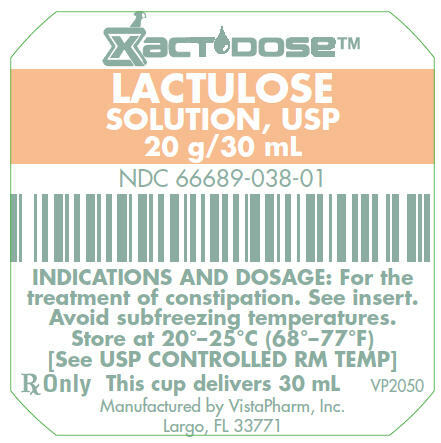 Lactulose is a synthetic disaccharide in solution form for oral administration. 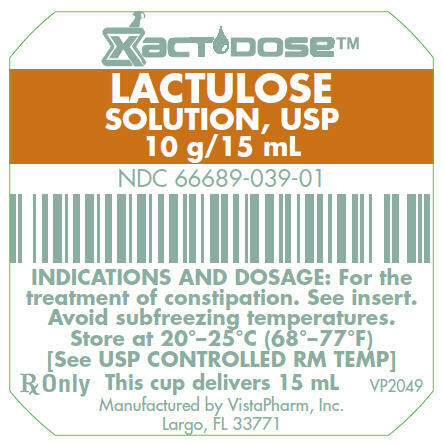 Each 15 mL of lactulose solution contains: 10 g lactulose (and less than 1.6 g galactose, less than 1.2 g lactose, and 1.2 g of other sugars). Also contains FD&C Yellow No. 6, purified water, USP and wild cherry flavoring. A minimal quantity of sodium hydroxide, NF is used to adjust pH when necessary. 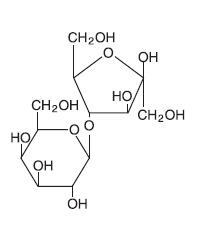 The pH range is 2.5 to 6.5. NDC 66689-039-01: 15 mL unit dose cup. NDC 66689-039-50: Case contains 50 unit dose cups of 15 mL (66689-039-01), packaged in 5 trays of 10 unit dose cups each. NDC 66689-038-01: 30 mL unit dose cup. NDC 66689-038-50: Case contains 50 unit dose cups of 30 mL (66689-038-01), packaged in 5 trays of 10 unit dose cups each. NDC 66689-038-99: Case contains 100 unit dose cups of 30 mL (66689-038-01), packaged in 10 trays of 10 unit dose cups each. When ordering this product, include the product code number or NDC in the description. Store at 20°-25°C (68°-77°F) [See USP Controlled Room Temperature]. Avoid subfreezing temperatures. Rx Only. Keep this and all drugs out of the reach of children. treatment of constipation. See insert.